Time to kick this blog back into life a little now that I’m free for summer, and what better a way of doing so than looking at some of the great tech on display at the Goodwood Festival of Speed. This year’s festival was probably the best one I’ve been to out of the four or five times I’ve visited, not least because we had a great spot on the hillclimb to view the cars – on the inside of Molecomb corner along the braking zone right by the hay bales. Mercedes brought the W05 F1 car too, making them the first team to use a new hybrid-era car for demo purposes. First stop was the FIA stand, which was filled with some interesting information about motorsport in general as well as a few desirable racing cars. I knew what was going to be on display there, too – the halo concept that F1 wants to introduce next season was the first thing that caught my attention as I approached. 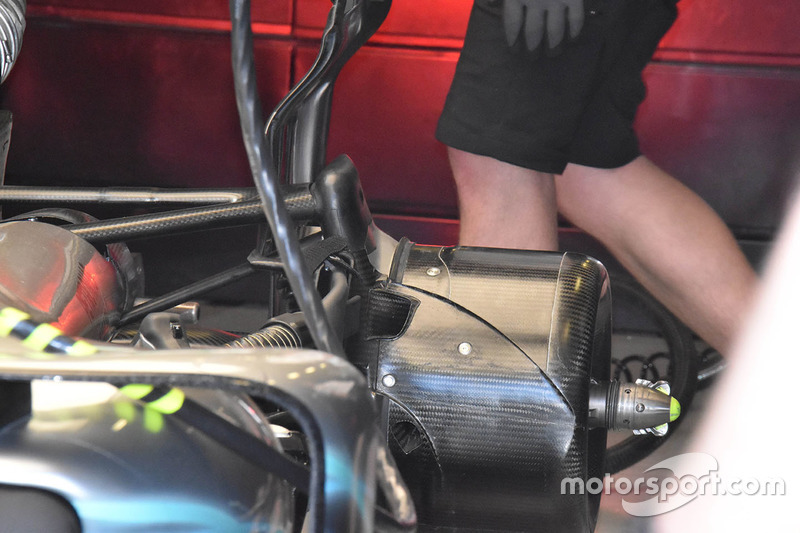 Unfortunately, rather than putting in the effort of actually integrating the halo with the car, the structure had clearly been pinched from Ferrari (they tested it pre-season) and quite literally been stuck to an old monocoque. This entry was posted in Technical Highlights on June 28, 2016 by thewptformula.